This second edition of An Introduction to Chinese Philosophy presents a comprehensive introduction to key ideas and arguments in early Chinese philosophy. Written in clear, accessible language, it explores philosophical traditions including Confucianism, Daoism, Mohism, Legalism and Chinese Buddhism, and how they have shaped Chinese thought. 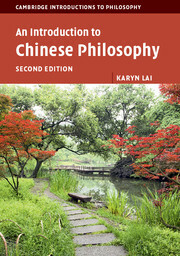 Drawing on the key classical texts as well as up-to-date scholarship, the discussions range across ethics, metaphysics and epistemology, while also bringing out distinctive elements in Chinese philosophy that fall between the gaps in these disciplinary divisions, hence challenging some prevailing assumptions of Western philosophy. Topics include human nature, selfhood and agency; emotions and behaviour; the place of language in the world; knowledge and action; and social and political responsibility. This second edition incorporates new ideas and approaches from some recently excavated texts that change the landscape of Chinese intellectual history.